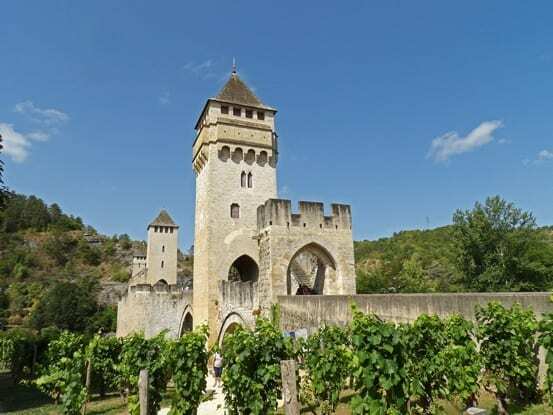 Asked about Cahors all French people will first think about its renowned red wine. But this really is all too simplistic and would make you miss out on all the beauties of the town’s heritage, of its river, the Lot, and of all the surrounding area. 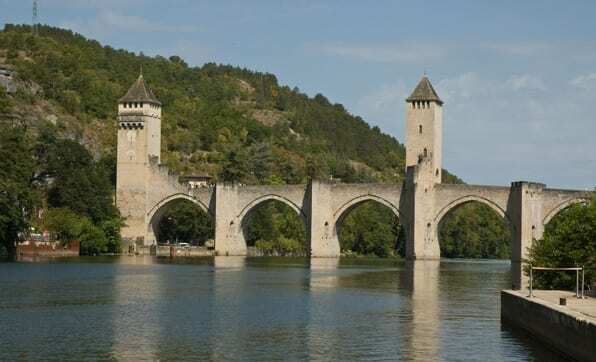 Of course Cahors wines have made the city famous worldwide for centuries, but Cahors is a complete touristic destination and deserves a few days stop. So, before discovering Cahors’ wines don’t miss visiting the charming town of Cahors nestled in a curve of the Lot River. When arriving in Cahors you know at once that this is a city where it feels good to live. 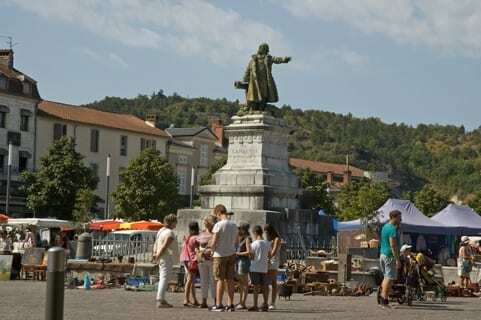 You can start your visit in the old historical centre and get lost in the maze of little streets lined with medieval and Renaissance houses before ending in the lively outdoor market where local producers sell all kinds of fresh products. Here you’ll find tasty souvenirs to bring back home or simply good food for a family picnic. Next to the market place you can’t miss the St Barthélémy Church, a very large gothic style church with an impressive 3-row bell tower ornate with arched windows. Next you can enjoy a walk in the gardens along the river banks and end your visit with the city absolute must-see, the Valentré Bridge. 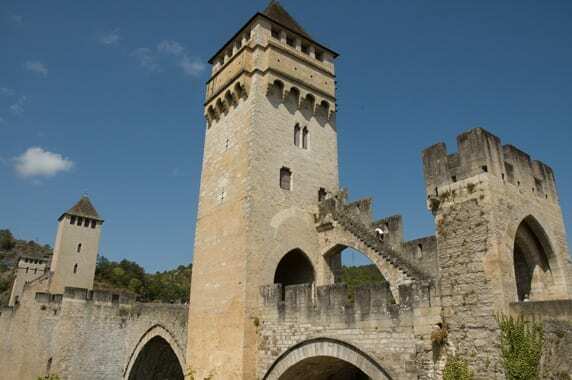 This remarkable fortified bridge was built in the 14th century. Six stone arches span over the Lot River and three towers were built on top of them to defend the entrance to the town and to collect taxes. This amazing bridge is listed as UNESCO World Heritage Site since 1998 as one of the Road to Santiago landmarks. After WW2 wine makers of the area started producing huge quantities of low quality wines and Cahors became a synonym for cheap booze. In the late 70’s sales dropped and Cahors wine was close to disappearance. A bunch of Malbec lovers refused to see this happen and dramatically changed the way to make their wines, definitely favouring quality rather than quantity. 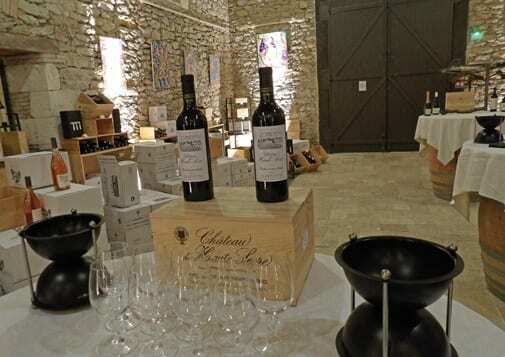 Twenty years later results are self-evident and several Cahors Chateaux are now listed among the top hundred wines of the world. If you are on holidays in this beautiful region where vineyards spread over the hillsides on both sides of the Lot River, you just have to meet wine makers and make up your own mind about Malbec. “Chateau Bladinières” in Pescadoires village or “Clos Trotteligotte” in Villesèque are great places to taste award-wining wines at an affordable price. 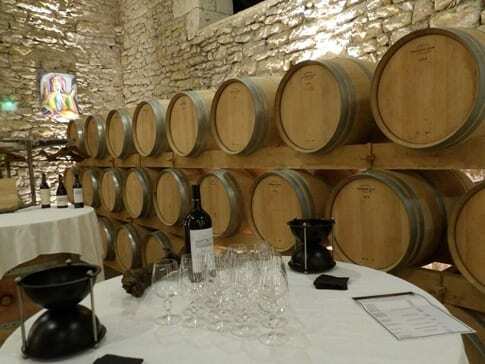 You can also mix a wine experience with a unique accommodation in an authentic medieval castle at “Chateau de Mercuès”. 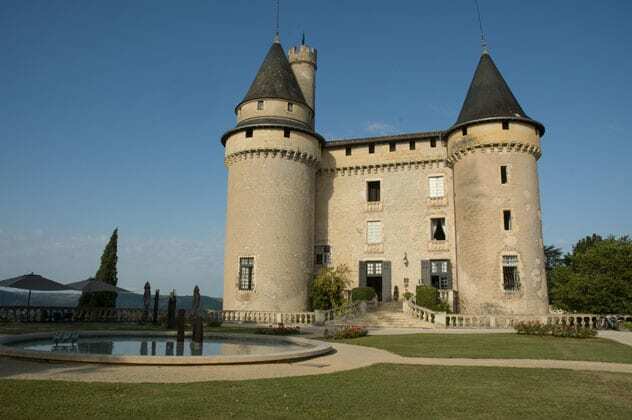 The Vigouroux family has been making wine in Cahors since 1887 and is the current owner of “Chateau de Mercuès”. Mixing wine and hospitality was obvious to them. After extensive works of renovation the castle became an elegant “Relais & Chateaux” hotel, while a huge cellar was built underneath its gardens. Perched on top of a high cliff the chateau offers great views over the Lot River, the surrounding countryside and the close-by city of Cahors. Behind the walls of its four towers, the castle hides beautiful rooms and suites, each one with its own style and decoration. The lounges and dining rooms have a typical 18th century spirit, with wall panelling, heavy chandeliers and stylish French windows draped with precious materials. 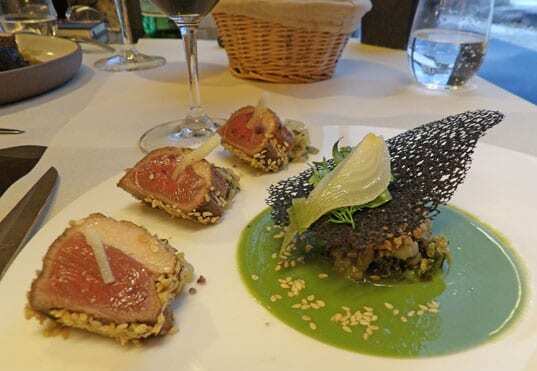 Chef Julien Poisot is in charge of “Le Duèze” gastronomic restaurant and has been awarded with a Michelin star for his inventive cuisine. After its usual winter closure the restaurant will reopen on February 1st with a special menu dedicated to the local star product: truffle! In February the hotel will also propose special packages to celebrate Valentine’s Day in a romantic setting. 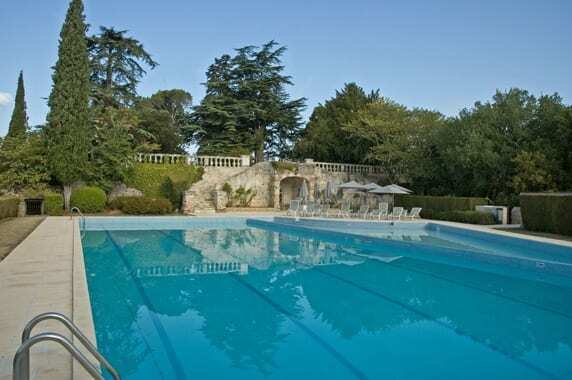 In summertime you can enjoy your meal or afternoon tea in the gardens or in the impressive paved courtyard. But most of all Chateau Mercuès offers a genuine œnotouristic experience. You can visit the cellars and follow the making process of the wines made with the grapes harvested on the estate ideally located on nearby hillsides. 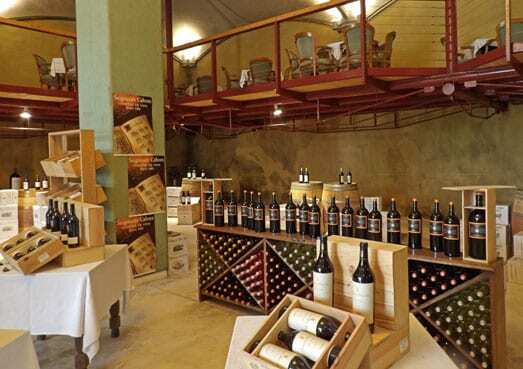 A wine tasting will follow your visit allowing you to become familiar with Malbec. 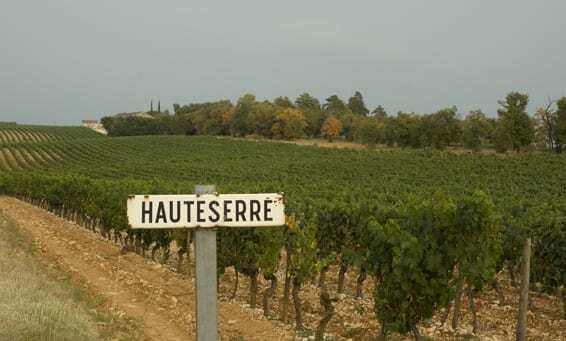 The Vigouroux family also makes wine at “Chateau de Haute Serre”, a few miles away from Lalbenque, France’s capital of truffles. This estate has an exceptional terroir (soil), ideal to grow vines and especially Malbec. 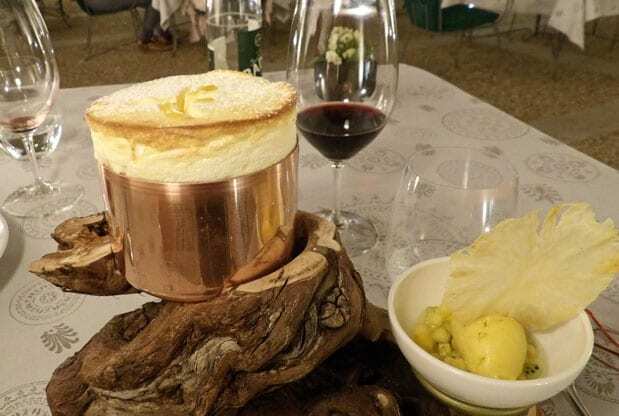 Each year at Chateau de Haute Serre from mid-January till March Allan Duplouich celebrates the truffle season with special events called “Toques n’ Truffes”, during which you’ll enjoy truffles from appetizers to desserts. A landmark event in the region! And at Chateau de Mercues a similar event by Julien Poisot, begins a few days later on February 1st, when the chateau reopens for the touristic season.